T-Mobile has released three new ads in response to an AT&T ad that attacked the quality of its network, reports TmoNews. 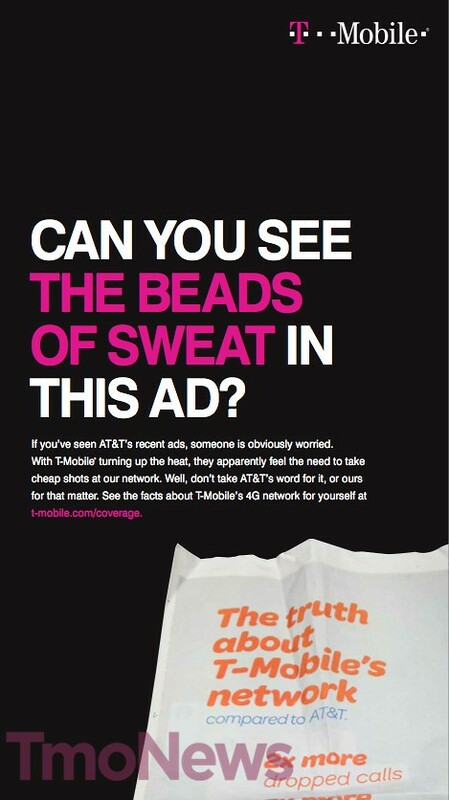 ● Can You See The Beads of Sweat In This Ads? 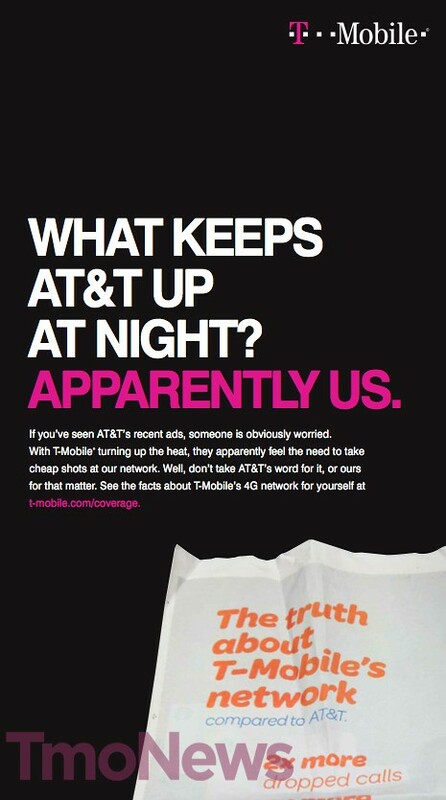 ● What Keeps AT&T Up At Night? Apparently Us. ● If AT&T Thought Our Network Wasn't Great, Why Did They Try To Buy It? If you've seen AT&T's recent ads, someone is obviously worried. With T-Mobile turning up the heat, they apparently feel the need to take cheap shots at our network. 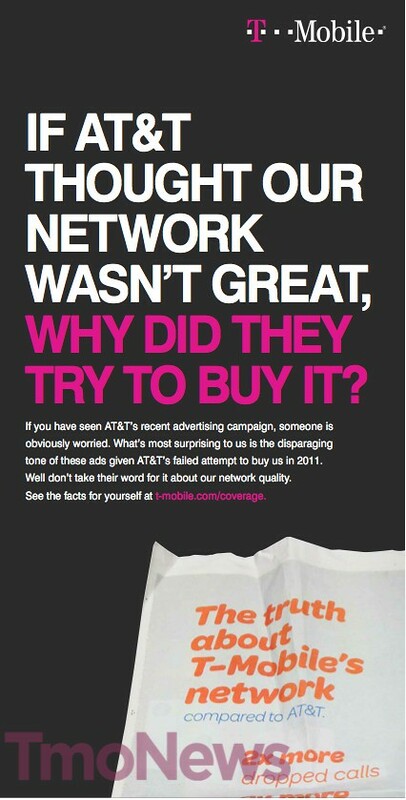 Well, don't take AT&T's word for it, or ours for that matter. See the facts about T-Mobile's 4G network for yourself at t-mobile.com/coverage.